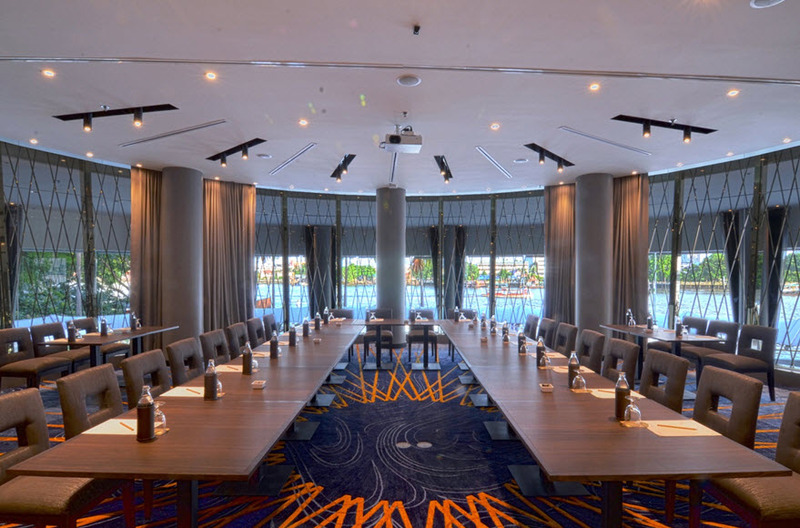 For perfectly planned small to medium size events the recently opened Curve Room at Chatrium Hotel Riverside Bangkok is quite simply the ideal choice. Located on the Mezzanine Floor of the River Barge restaurant with sweeping views of the Chao Praya River the Curve Room consists of 130 sqm. of useable space (9.25 x 8.62 meters) with a capacity from 20 – 70 persons depending on the wide choice of room set-ups. The Curve Room comes fully equipped with the latest in event technology including a projector, high-tech sound system and free wi-fi connectivity and our Executive Chef has created some innovative coffee breaks and dining options to suit all tastes and budgets. Please contact Events Department of Chatrium Hotel Riverside Bangkok at 02 307 8888 ext 2921-2924 or e-mail:events.chrb@chatrium.com to find out how the Curve Room can truly make your event an unrivalled success. Next PostNext Why Not Land a Big One at Chatrium Hotel Riverside Bangkok?